More than half a million households in the north-eastern US and the south-eastern Canada are still without electricity after last weekend’s severe ice storm. Utility crews are working round-the-clock, but warn that some homes could be without power at least until Saturday. In Toronto, 72,000 people were without electricity on Christmas Day, officials in Canada’s Ontario province said. 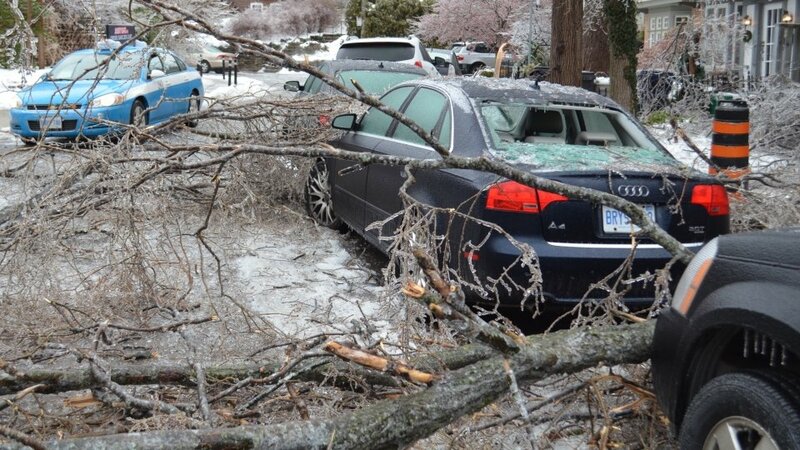 At least 27 deaths in the region have been linked to the storm. Most of those were caused by apparent carbon monoxide poisoning as people used gas generators, charcoal stoves and other appliances to heat their homes in freezing temperatures. “I understand they want to keep warm, but you cannot do this. This is deadly,” Toronto Mayor Rob Ford warned earlier this week. Other fatalities were caused by traffic accidents. Elsewhere in Canada, tens of thousands of people are still without power in New Brunswick and Quebec, and hundreds in Nova Scotia. In the US, states from Maine to Michigan have been affected by the adverse weather. Travel between Toronto and Montreal, Ottawa and New York had been disrupted. Environment Canada meteorologist David Phillips warned earlier this week that the ice would remain as temperatures stayed below freezing.